CONSTITUTION AND BY-LAWS OF OUTDOOR ENTHUSIASTS! INC.
Executive of Moncton Outdoor Enthusiasts! As of now the following Sundays are open for events: June 17, June 24, July 8, July 29, August 12, and August 26. Contact me at 386-1290. If you do not get an answer, phone Dave at 386-2923 or 875-5855. There will be a change for this Saturday, April 21. The hike will be from Riverside School to Crooked Creek Lookout and return. Moderate 8 kms. Meet at C.OC. at 10:00 am or Riverside School at 10:45. What’s up with this statement on the MOE FB page? I am not adding members to this page. Go to the website for info on joining the club. National Park. Detour lasted 10 weeks. We did not cancel any events because of the Stoney Creek detour. Putting up No Trespassing Signs are great for minimizing the risk of people illegally breaking and entering private properties. They are meant to prevent people sueing when injured on private property. Outdoor Enthusiasts should stay off private property. Only go on private properthy if the owner gives us the Ok to do so. Getting separated and lost happens. If you are the person who became separated and lost, stop the first person you meet and ask for directions. Do this even if you are a man. If this does not work, perhaps a cell call will. It mighgt be wise to bring that phone with you, even though you don’t intent to use it. These days you can often receive a signal in areas that were once technology-free havens. To prevent an intrusive call when you are trying to enjoy a carefree hike in the wilds, just keep it turned off until you need it. It is always a good idea to carry a map and a GPS unit in country you are not familiar with. Before you start walking, remember to tell that wonderful electronic gadget to store the location of the parking lot. It takes only a moment to set the waypoint. Take another minute to study the map. As you go along, haul out the map from time to time and trace your progress; using topographic features such as streams crossed, lakes passed, hills traversed, etc. If you are not sure where you are along the route, turn on the GPS and find out. Sarah Lord did a great job for the, “Town of Riverview” and “Outdoor Enthusiasts” in getting people outdoors. Bill Mayo did a great job in trail maintenance. Verna Poirier did a great job in preparing our Newsletter. I hope she has time to lead events in the upcoming year. We had a lot of great events for the period from October 1, 2016 to September 30,2017. I want to thank our leaders and sweeps for putting on these events. Sandra Derrington, Mark Stephenson, Annie Mireault did a course on leading hikes in Parrsboro on September 23rd and 24th. Dave Kane and Yvon Maillet also took time out from their busy schedule to do a course on leading hikes put on by the “Town of Riverview.” The town sent Sarah Lord on a course on leading hikes. That course brough up the concept of having an expert on various subject on hikes as well as leader and sweep. During the hike the expert could let you know what is eatable on the trail and what is not eatable, what plants and trees you see on the hike and the relationship of people and nature. Make sure you attend events lead by Sandra, Sarah, Mark, Annie, Dave and Yvon. I don’t think Moncton Outdoor Enthusiasts should organize hikes to highest mountain in Baxter Park, Parc national de la Gaspésie or other locations. While we are in these locations people in our club can organize small groups to do these difficult hikes. Over the years we have had clicks in the club organize trips to place that are above our normal events. I would like to thank Calvin Roberts for all the time and effort he put into our trip to Newfoundland this summer. We have to decide where we will be camping and hiking for a week in 2018. Some of us want to go to Mount Albert. The most beautiful hiking in Parc national de La Gaspesie is one that rises at the Mount Albert. 850 meters difference in height on 5.6 km, so quite hard. At the top you will have a magnificent view of the chain of Chic shock and you will see some Arctic plants. The short hike to the Lake at Americans is also very pretty. Parc national de la Gaspésie is celebrating its 81st anniversary in 2018-2019. Yvon Maillet would like to organize a week of camping in Parc national de la Gaspésie from July 8 to 14. Some will want to return to a place we enjoyed in the past while others will want to try something new. Before going to Newfoundland we had great attentance at our Planning Meeting. At our Planning Meeting on September 13 we had a poor turnout. I had to get on the phone and computer to fill out hikes for a lot of weekend. We need to bring along new members so they will be leading hikes in a year or less. I suggest if you have lead hikes in the past you offer to show newer members how to lead hikes. New members if they take a course in leading hikes, they will be more inclined to lead hikes. If you are unable to attend a Planning Meeting, be sure to mail me the events you wish to lead. I suggest you read every page of our website, “MonctonOutdoorEnthusiasts.WordPress.com” because there is a lot of information there. Paul Gaudet did a good job of leading hikes while we were away. He also led a lot of events on Saturdays and Sundays. He does a good job on his column, “Take a Hike.” Calvin Roberts and Sophie Melanson sure know what hikes to pick to lead. Their hikes are great on the eyes. taking pictures, videos, maintenance of trails, snowshoeing events and leading hikes. Hope to see Daniel back on the trail soon. Dave Kane did a great job in overseeing our website and looking after our equipment. Cathy Cox did a good job in keeping our Facebook going. Cheryl McIvor did a good job in leading snowshowing in the Hillsbourgh area. Thank you Claudia for opening up your cottage to our membership. Thank you Maureen and Bob Wallace for the great Christmas party. Sarah Lord, Ruthmary MacPherson and Raymond Gallant got involved in biking and everything. Thank you to our members in making the year ending September 30th special. I think we should erase old posting in the Guest Book. Google Earth – The basic workshop to create custom maps, trails & waypoints is scheduled for August 28th, 6:30PM – 8:00PM and hosted by a friendly co-hiker in Moncton. Come on and join the small group and pick up a few Google Earth tips. You can print, email, and save your drawn trails & waypoints. You don’t need anything to participate and you can use my laptop on site to practice. Don’t miss this opportunity. You won’t be disappointed. Should be fun. Additionally I have a draft Word file to offer with instructions, tips, screen shots and more to anyone interested. The session will include importing an image into Google Earth and tracing a trail from it and much more. There are some changes for the weekend of Aug. 18-20. The group campground is not available this summer. Individual sites are all booked for this weekend. Merlin’s hike on the 19th is the same as scheduled. Merlin’s no. is 1-902-667-8224. It’s the Rising Tide Festival and music all weekend. 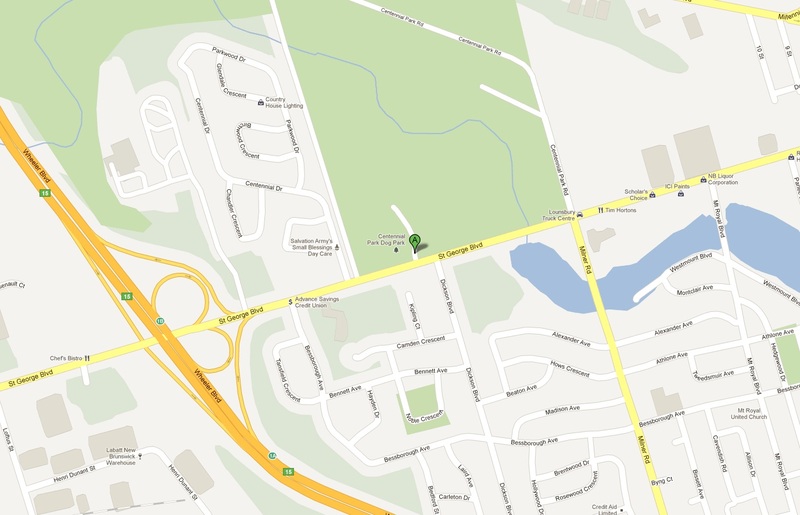 On Sunday Aug. 19 we will hike in Irishtown Park at 10:00. Contact Ralph at 386-6579. Google Earth – I’m wondering if anyone is interested in a basic workshop to create custom maps. The hike this Saturday the 15th has been changed because the Point Wolfe road is not yet open. I have been tasked to come up with an alternate hike on a day that is predicted to be sunny and 15 degrees. I propose to hike up Shepody Mountain starting at a point not too far past the Hopewell Rocks. We have not gone up this way in some time. It is not too daunting a climb and the sightlines can be exquisite on a sunny day. I will try and hike all or part of it beforehand if I have time to check out the conditions. Revised to match Outdoor Enthusiast facebook posting on Sunday’s hike meet time at 12:00 noon at COC or 12:45 at Old Bank Museum in Riverside/Albert. Hike on Sunday January 8th. A piece of RedHead has tumbled to the ground so I want to visit. Meet time 12:30 (tides) at COC or Old Bank Museum in Riverside/Albert at 1:15. Easy hike on Dennis Beach to Waterside return. no need for ‘shoes”. Just got word that the photographers have had to cancel our film shoot for Wed, Nov 9th at centennial Park. They will reschedule and I will let you know. So sorry. The hike of Sussex Bluffs is November 5th and not November 7th. Saturday, November 19 – Hike along the Quiedy River and visit 4 Waterfalls. Moderate to plus. 8 to 9 km. May do another Waterfall off Parlee Road. Meet at C.O.C. at 9 AM. If you want to meet somewhere else, call Bill. Contact Bill Mayo at 854-4437. Sharing the group photo from Mount Carleton, for those who don’t have facebook. Last weekend I heard someone say there was a group from Fredericton going to Mt Katahdin this coming weekend (Sept. 17&18). Anyone have any contact information for that group? My daughter is interested. Thanks a lot. sorry for the late reply. they’re meeting in federicton at noon. here’s the event page. there are a few openings. For today’s hike on the Dobson trail bring ice grippers! Any plans for (Sat) Jan 30th? Are there any hikes planned for the weekend of the 2/3rd, or 9/10th? So glad you achieved your “quorum”. Sounds like a great hike, Paul. I could do it on Sunday, Nov. 1, but not on Saturday. I can’t lead the bike ride tomorrow Monday Oct 12, in Sussex, sorry. Perhaps someone else is willing to take over. I’ve become on call at work. I have a detailed map of the meeting location and the route that I can send to anyone interested. the marsh road, turn right when you see the lone white house in the distance. Special guests will be Edward and Darlene O’Reilly For more info call Marilyn at 386-6579. I am not a member of the club yet, but I am an outdoor enthusiast living in Memramcook with my family since a couple of years. I am from Québec, but lived in Norway and Nunavut in the last few years. I am using the Guest book of your club to see whether some of you would know of an outdoor enthusiast interested in babysitting my 5-year old son when his after-school is closed or sometimes during week-ends. My son is also an outdoor enthusiast and it is sometimes hard to find babysitters that like to go outdoor and enjoy whatever the weather has to offer. He is fully equipped for different weathers (from cold to hot, from dry to wet), dynamic, sociable and fun to be with. If ever you know of someone that would be interested, thanks getting in touch with me: (marie.a.giroux@gmail.com or 506-227-1878). Is anyone interested in camping and hiking on Grand Manan Island? I am crossing on the 5:30 PM ferry on Sat, Aug 1. I will be hiking Sunday, Monday and Tues and returning home on Wed. Staying at Anchorage Prov. Park. Basis camp sites are $25 ($22 senior rate). I think 2 tents are allowed per site. My phone number and e-mail address are both on the membership list. Or you can just show up there. I’ll be in the flatlands that weekend, but I’d love to help, so please keep me in mind for next year. is there an event planned for sat the 18th, or a hike on 19th for those who don’t have a bike? are there any events planned for sat 18th, or a hike on the 19th (for those who don’t have a bike)? I’m guessing that due to the colder weather, the bike ride could potentially be cancelled as it is getting later in the season. I haven’t hiked the Marven Lake trail in Fundy National Park yet this year. It is a 16kms return trip and is uphill-difficult for the 1st km. A lengthy hike for sure and an early start would be required. There should be more ideas out there. Chow 4 Now. I’d hike marven lake if someone organized a hike. just let me know when and where to meet up? can I bring the membership form/fee to a hike, or do I need to mail them? You may bring them to a hike. If a member of the executive is there they can collect them for you. Mailing them is also a good option. It is approximately one month before we are going to beautiful Cape Breton National Park for camping and hiking. We have been there many times and always enjoyed it. If you are going please call Ralph at 386-6579 so we will have a number or if you have any questions. There is a change for Sat. May 30. The original hike was to Marven Lake. We are now going to start at Chignecto South, do a couple of different trails and end up at headquarters. 11 kms. Moderate. Sunday, May 17th- We will still be hiking on Shepody Mtn. but will be doing a much easier route. Saturday’s trail cleanup is postponed due to trail conditions. Instead we are having a beach hike from Denis Beach to Waterside. We will meet and head out later than usual so bring a supper instead of lunch! Hike is easy to moderate and the weather promises to be springlike. Meet COC at 1:30 or Bank in Riverside Albert at 2:15-2:30. It is Saturday… I was mistaken about the day. Snowshoe tomorrow! Come along. Meeting at COC at 11. Tomorrow is Friday, 20th. I am thinking you mean Saturday, March 21st. Meet at COC at 1100. Are there snowshoeing outings in Hillsborough both on Friday, March 20 and Saturday, March 21? Yes, two events in Hillsborough, one on Friday and the other on Saturday. Kathy is leading Friday’s event and Cheryl is leading Saturday’s event. Correction there is one event on Saturday… Sorry for the misunderstanding. We also love the outdoors and we definitely have a spot for you… You can try out a few hikes before joining. Just be sure to watch the site for updates and I suggest contacting the event leader before you first outing. If you have any questions drop me a line at yukon_big_dave”at”yahoo.ca. I see a few empty slots in the up coming events.. any chance of a hike to midland ice caves? I don’t know where you have been in the past, but I wouldn’t mind going to Acadian National Park in Maine USA. I think Acadia National Park is a great idea.I’ve never hiked there. Juste te laisser savoir que le club de ski de fond de Grande-Digue est officiellement ouvert. Someone must have mistakenly picked up my black North Face gloves at Tim Hortons in Riverview today. Just let me know if you have them; they’re my favs. The hike on Saturday in Fundy Park will be starting from headquarters, up the Point Wolf Road to Hasting Road a short way down the 114 to the group camp ground. Through the camp ground to the White Tail trail. Down the White Tail back to headquarters. No real steep hills, so I consider it a moderate hike. Between 10 to 12 kms. Call me at 386-6579 for inquiries. Hi Ralph, I just wanted to say thank you to you and the group for letting me tag along for my first winter hike. I loved every moment of it and hopefully I will see you on another one very soon. Merci beaucoup! Sounds like fun! Please add me to your list… I’d like to join you next time. Looking to sign up… no problem. You just need to enter your email address on the right side of the page under “Email Subscription” and push the “Sign me up!” button. Its that easy… you will start getting updates for our hikes emailed to you. We also have Face Book group, link is on the right side of the page. If you try out a few hikes and would like to become a member there is a Membership Form also on the right side of the page. Membership fees are $25 for an individual and $30 for a family. Saturday, Jan 3 Ralph will be leading a hike in Fundy Park. Moderate 10 kms. Meet at COC at 10:00 or Fundy Park HQ at 11:15.
which trail will it be? Salut Ralph, concernant le hiking de samedi le 3 janvier, je serais intéressé. les frais. Le COC, c’est où exactement ! looks interesting.. how far would we hike (km there and back), and are there many steep hills? Yes Meagan and I would be interested in this hike on Sunday. Great hike, love the Apple River area too. Wondering what time would would be back home, ball park? Pour information: Je me cherche un club pour pouvoir faire des activités en groupe. J’aime la randonnée, le kayak, le ski de fond, la raquette et le vélo. Je demeure vers Shediac. I’ll be calling on Friday to make a reservation for the boats, so please let me know if you’re planning on coming and what type of vessel you’d like (I can pair people up in the canoes/double kayaks if you’d like one of those but aren’t coming with anyone – just let me know). I’m also happy to arrange an evening hike and/or camping for the night if there is interest in that. I’m not sure if there are any group sites available but there’s certainly lots of regular sites. So let me know if you are interested in that within the next few days too (519 400 3011 or by email). Owner of poles found. I will drop them off to you. Thanks Paul. Someone left their hiking poles behind on Saturday in Hebron. I have them at my place. Please call me at 882-1100 and I will arrange to get them to Moncton for you. Thanks. Jean N.
Elizabeth had kindly loaned me her spare set of poles. She wasn’t around when we were leaving so I propped them up against the car I thought she had travelled in. These might be the wayward poles. Do you have a phone # for Elizabeth, by any chance? Edward, Congratulations on yet another one of your successful outings! You certainly have a “knack” for doing this! The cycle and hike adventure was a lovely idea! Lovely photo’s as usual. The club is very fortunate to have you as a member! Thank you for the info, Edward. Lots of places to explore. The photos of Dennis Beach are terrific. I would like to go there with my dogs. Google has supplied me with lots of information about Dennis Beach, Maine. Are these photos from Maine? No it is in Waterside, New Brunswick, near Fundy National Park. Looks like the week long trips in the center of the Gaspe are going to be FAB! A June 2009 hike along the upper reaches of the Gaspereau River, Kings Co, Nova Scotia. Entering at Little River Falls, we made our way downstream, criss-crossing the river several times and trailblazing most of the way for 8 hours, until we reached Deep Hollow Bridge in White Rock. After the big hike, a few of us went to Three Pools for a swim and a bit of tombstoning. Thank you Dave for organizing this trip. And they said you were just another pretty face……. Great work on behalf of the group. Thanks Paul. For this summers trip I have booked 5 bunks at the Le Harfang rustic cabin (maximum 8 persons) $174 each. There are 5 or 6 cabins like this and they are located next to the campground. The cabin has 8 bunks with curtains, electricity but no running water, a wood stove, two indoor tables, located near the washrooms (bring your quarters for the showers). If you want to book at this cabin, call (514) 873-9899. The Oct. 28, 2012 minutes of the Outdoor Enthusiasts! annual meeting said the executive were working on suggested amounts to contribute towards the costs of the driver on outings, and that they would be posted on our website. Where are they posted? I would like to know how much to contribute and also how much to accept if I am driving. (I do not want to underpay or to accept too much.) Thank you. Yes, that’s an excellent idea. However,you may want to call the Leader of the hike (phone number is included in event listing) prior to the outing for further details. Edward. Awesome pics on Friar’s Nose catching the sunset….your photography continues to impress. Totally Fab..very special moments indeed. Kim Crossman & Karen of course. I’m in Toronto right now visiting relatives, having found buyers for the house in Advocate. In the next week I’ll head to Penticton BC. I’m contemplating a hike in Northern BC next summer, probably the Wokkpash. This is a minimum 5 day hike, probably longer, and not for the faint of heart (it can snow any month of the year). It would involve locals so you would be with experienced Northerners, and you would be advised of appropriate gear etc. Let me know if interested. My google email address is always open, and my cell phone number is 506-435-2810. The problem with the Guest book is that there seems to be no reply. Could someone poke Merlin ? Just came across this website and it looks like you guys have some great hikes and events planned. 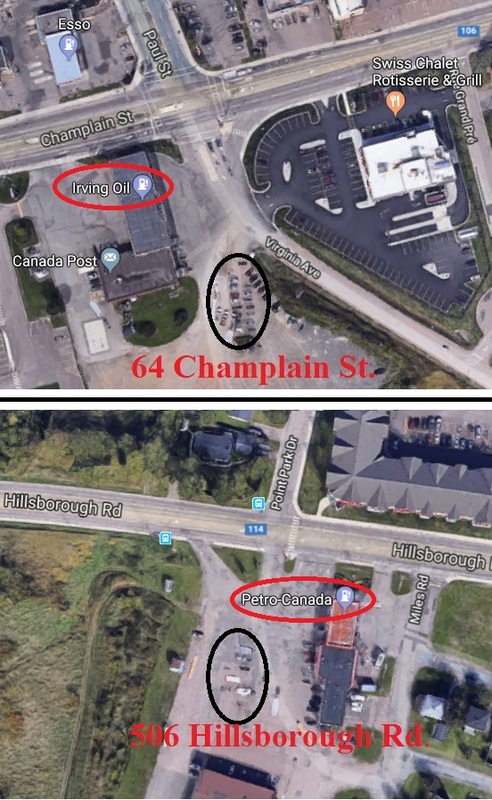 I am a student over in Sackville and was wondering if there is ever a chance of drivers picking up an extra body en route? I would love to get out hiking if new members are welcome. Is there an outing planned for any of the days this Labour Day weekend?